We have seen a lot of news from the past week. 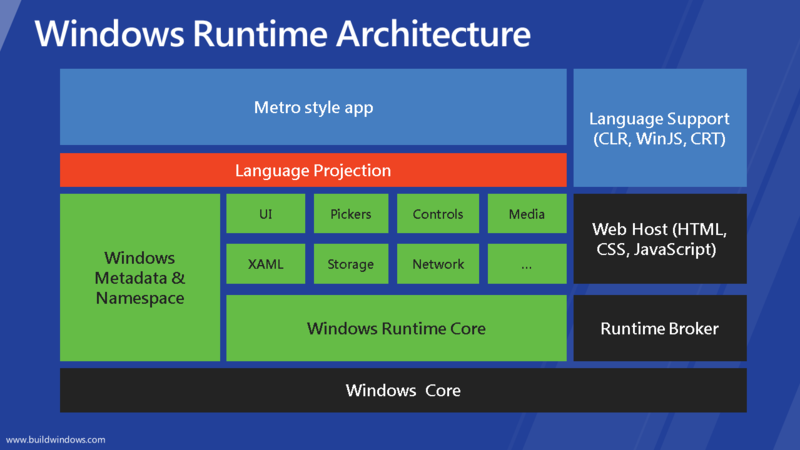 There is a new technology announced from Microsoft: Metro Style App and Windows Run Time. This is software platform under new Microsoft upcoming OS Windows 8, which can run on various hardware: PC, Notebook, Tablet and Phone. Great source about this can be found on http://www.buildwindows.com/ and related msdn web site. There are also plenty of sessions about all programming languages and platforms, so if you want to be uptodate with the latest Microsoft technologies don’t lose time, go to site and learn about new Metro style Apps and Windows 8. I am going to show two diagrams which are very important, in order to understand how metro style apps and Windows Runtime stand in Windows 8 and what about existing .NET platform. 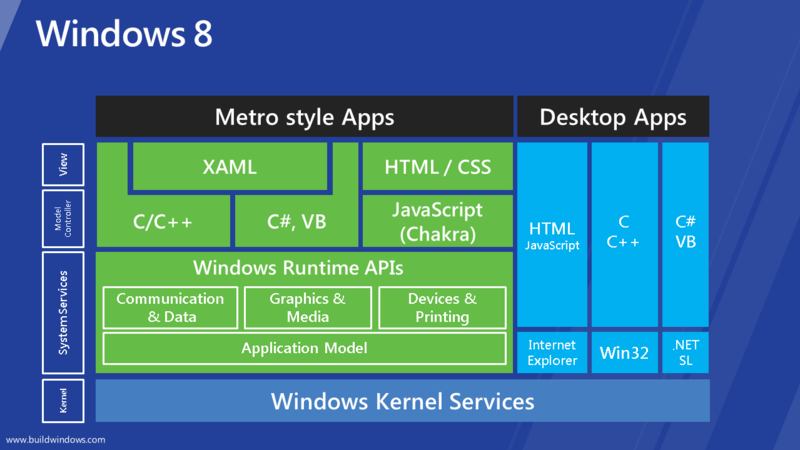 Arhitecture diagram of Windows 8 for developer perspective is shown here. As can be see Windows Runtime is neither .NET nor a part of it. This is brand new platform natively supported by Windows 8. C# and VB are not exclusively .NET languages. By C# you can program .NET applications and Metro style App as well. The big thing is that every language supports asynchronous programming model which metro style applications gives responsiveness and better user experience. That’s all for the first blog post about new Windows 8 and Metro style app. In the next post we going to talk about WCF service and consuming it in Metro style apps.